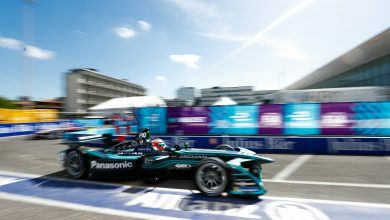 New York City E-Prix – Audi Sport Abt Schaeffler driver Daniel Abt was quickest in a wet practice session ahead of the Formula E finale. It was Sebastien Buemi who led the standings early on with a 1:19.411. 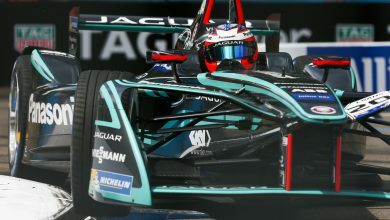 He and Andretti’s Antonio Felix da Costa, who was using the full 200kW of power, vied for first place with da Costa lowering the benchmark to a 1:19.165. Buemi’s answer was a 1:19.052 before da Costa went 0.082 seconds quicker with a second full power run. 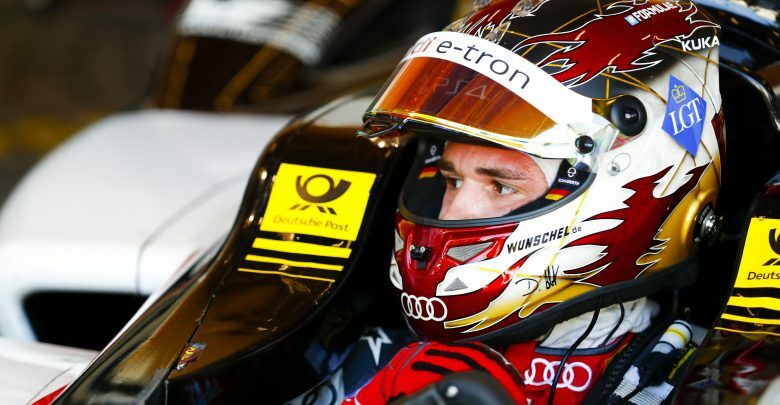 Abt then set his time of 1:18.699 that would keep him atop of the timesheets until the chequered flag, as the track conditions worsened throughout the session as the rain increased in intensity, meaning he did not go quicker when he attempted a qualifying run. Mitch Evans also utilised 200kW of power to go second quickest, 0.097 seconds away from Abt. Da Costa ended the session third ahead of Buemi and Saturday race winner Lucas di Grassi, with both of the former series champions attempting full power runs but unable to improve. 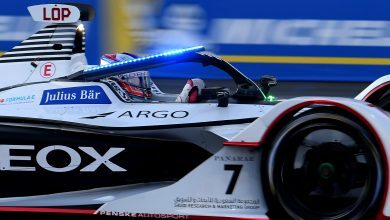 Stephane Sarrazin also completed a full power run to put his Andretti sixth, 0.773 seconds off the pace, ahead of the two Techeetahs of Andre Lotterer and the recently crowned champion Jean-Eric Vergne. Felix Rosenqvist hit the barriers at Turn 11 after locking his brakes and heading into the TecPro head on, breaking the front wing off his Mahindra. He finished the session in ninth, ahead of Sam Bird who also hit the wall. He damaged the right-rear suspension on his DS Virgin having hit the outside barrier while braking for the final corner. Maro Engel had an off at Turn 6, and ended the session in 11th. Also running wide into the new Dock Loop section was Alex Lynn, who was 15th fastest in the session and has a 10-place grid penalty for a change of gearbox after a heavy crash in Saturday’s race. Jose Maria Lopez spun his Dragon at Turn 7 but escaped damage. He was 16th quickest, and is currently under investigation for speeding in the pit lane. Click here to see the full session results.